Avry is character that immediately draws the reader into her story. She is tender and caring along with being independent and incredibly stubborn. When she adopted the band of rogues, I found myself doing the same. As things get tense in the tale, I would find myself holding my breathe and reading on. As you can imagine, I love to read however it isn't very often that I find myself so engrossed in a book that the real world recedes. I just wish that my humble writing skills were up to par when it comes to describing TOUCH OF POWER. My best recommendation is to grab this book for yourself. I will say however that it is the best fantasy book that I have had the pleasure of reading for quite a long time. 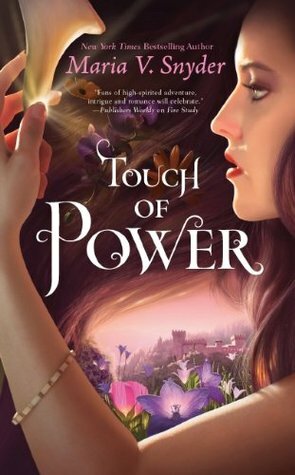 I rate this book a 5 and recommend it to readers who love a good fantasy with a heroine who it is easy to fall in love with.